STEUBENVILLE — City Council has decided to stick with the city’s vacant structures ordinance as written, at least for now. Concerns were raised, however, over how property owners are notified of their responsibilities to register properties that can be classified as vacant. The city’s ordinance requires owners of vacant buildings, defined as being unoccupied for 90 days or more, to register them with the city and pay a registration fee — $200 to start for residential properties and $400 for commercial buildings. Assessments go up every year the property remains vacant, but would not exceed $400 a year for residential properties and $700 for commercial. The ordinance stipulates buildings with utilities cannot be considered vacant, but city inspectors judge occupancy by whether a building has water service. Urban Projects Director Chris Petrossi said it’s not always easy to locate the owners of the vacant properties, saying mailed notices are often returned as undeliverable. Sixth Ward Councilman Bob Villamagna, who chairs council’s planning committee, said he saw no reason to change the ordinance, pointing out he’d counted at least 80 Ohio communities in which a similar ordinance was on the books. Fourth Ward Councilman Scott Dressel said, ideally, there would be no vacant properties. “Maybe try and hit it from all sides, instead of just one,” Dressel said. Dressel also questioned the city’s practice of using water service as its benchmark. “I don’t agree with that at all,” he said, adding it would “behoove owners” to provide a current utility bill to prove occupancy. Petrossi, meanwhile, told council building activity was up in 2018: For the year, he said 371 commercial building permits were secured for work totaling just shy of $29.6 million ­– a total that doesn’t include work being done at the hospital. Another 960 residential permits were granted for work valued at $4.6 million. “Using this as an economic indicator, you can see a level of investment last year in excess of the prior peak year,” he said. 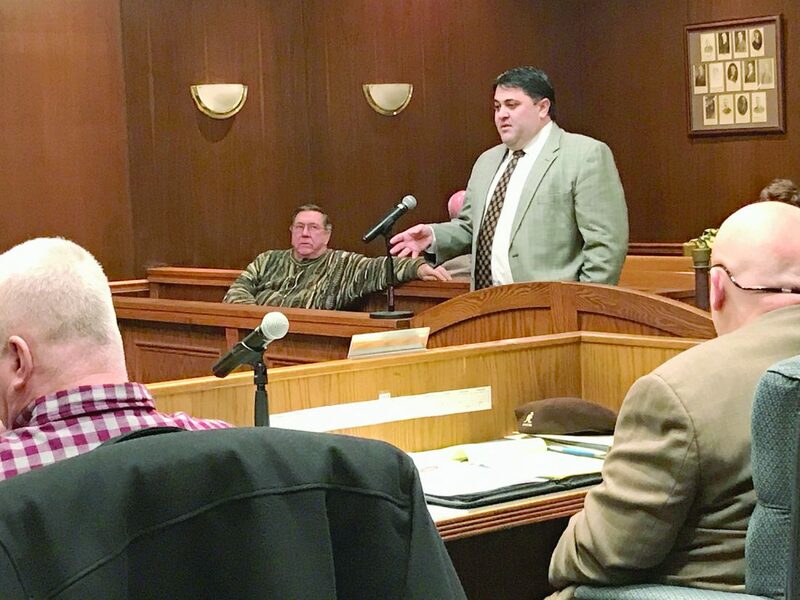 Jefferson County Port Authority Executive Director Evan Scurti updated council on various projects, including efforts to redevelop an abandoned gas station property on South Third Street. Gas tanks are being removed and, when that’s done, a soil analysis will be done. “My main goal has always been to create jobs and bring in capital investment,” Scurti said, pointing out a solid infrastructure is crucial on both counts. 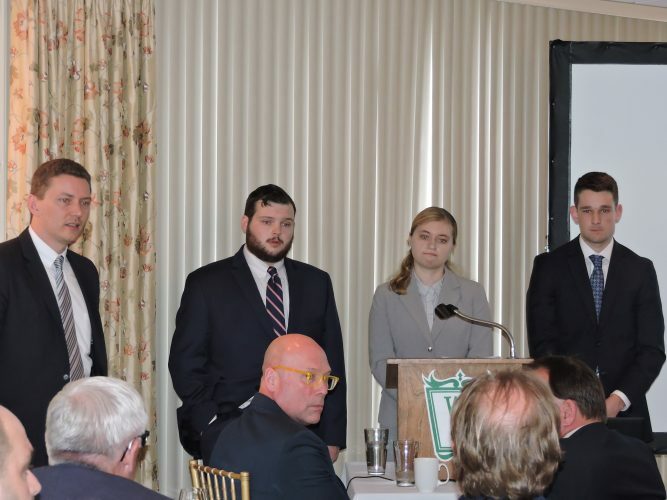 Council, at Villamagna’s request, asked that a letter in support of the city’s Building and Code Enforcement office be sent to the Jefferson County Chamber of Commerce, which asked members to score the department’s performance on a member survey. City Manager Jim Mavromatis said the city plans to have two crews working 12-hour shifts on snow removal Saturday and Sunday, in the event of severe weather. “We’ll be working our people 12 hours so we can get ahead on it,” Mavromatis said. Council also agreed to amend a city ordinance allowing the city to pay a Pennsylvania firm for electrical inspections, saying the company’s assistance is no longer needed now that Steubenville has its own electrical inspector on staff.